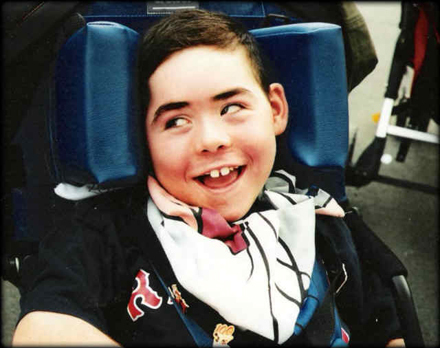 The Brian Higgins Foundation was established in 2003 and we are a Nonprofit 501(c) (3) Organization. We set this up as a memorial to our late son/brother Brian and as a means of helping other children with special needs and their families. We can not begin to express our heartfelt thanks for all of your generosity and support that you have given to the Brian Higgins Foundation Trivia Night. When our son Brian past away and the idea for a Trivia Night arose we never thought in our wildest dreams that it would turn into one of the biggest fundraisers in the city. The success of Trivia Night has grown steady each year and that is because of all of you and the unbelievable generosity of Dan Hayes, Ray Zonghetti and Suzanne Rinfreit from Good Times Emporium. With your support we have been able to help families in various ways, including scholarships, paying for medical equipment that insurance will not cover. We have bought assistive technology equipment to help the children connect with the big world around them. 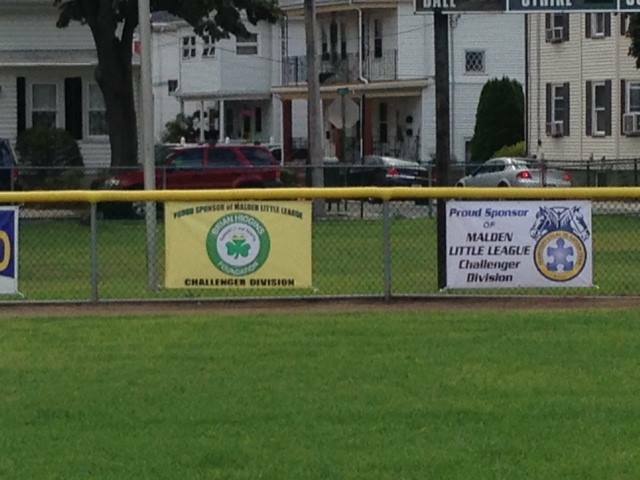 We have been able to send children to summer camps and help support youth sports here in Somerville. We have been able to give to some of the great organizations out there, including the Special Olympics of Massachusetts, the Make a Wish Foundation, and the Federation for Children with Special Needs to name a few. And the many great organizations right here in Somerville, The Somerville Recreation and Youth Foundation and Best Buddies of Somerville High School. And most importantly we have been able to help relieve some stress even if it is for a little while for families with children with special needs. The money collected at this event is used entirely for the kids and their families. There are no hidden administrative costs, or payrolls to be met. Every single penny goes to the kids. On behalf of everyone involved with The Brian Higgins Foundation we just wanted to thank you for helping us make Trivia Night an amazing success. We honestly never thought we would still be doing this all these years later. :-) The support you have given us has truly touched our hearts. Many of you have been coming since the beginning and we keep making new friends along the way. We can never say it enough, but from the bottom of heart thank you. The funds collected at this event provide the primary source of funds for the Foundation. Every penny collected goes directly to supporting special needs children and their families. Come out and have fun in the memory of a Special Boy whose smile was contagious. Please Help Us Make This Year's Trivia Night The Most Successful & Enjoyable Yet! Enter a Team for $250 - No more than 10 people per team . We also have Mystery Book Ads which include Full Page Ads, Half Page Ads, and Quater Page ads. The event includes raffles, silent auctions, cash bar, and prizes!! Please feel free to donate gift certificates, store merchandise, or services for raffle prizes. Can't make it to one of our events but still want to help the cause?! We are now accepting donations of any amount through our PayPal account! Click HERE to show your support! My brother, Brian, was disabled but wasn’t born that way. When he was three weeks old, he got sick and the doctors gave him the wrong medicine. That was the start of it all. After that, it was all downhill. Every time he got sick, even if it was minor, there was a chance he could die. That’s how he got sick. In 2001, we went to Disney World. It was great! It was around Halloween, so we went trick or treating there. There were late night Halloween parades. We took him on Splash Mountain and he got soaked and his face was hilarious. It was such a great time! He loved it, even though he was in a wheelchair. When we got home, we went trick or treating again. Brian got dressed up, too. It was fun. I went up to the houses with Brian in his wheelchair so that he would get his candy and so would I. Then I would run and jump on the back of his wheelchair and ride to the next house. The next summer on his birthday, we got a cake and had a party. My dad shoved his face in the cake and he smiled. Two months later, on August 29th, when we woke up, he wasn’t breathing. We called an ambulance and my parents sent me down to my grandparent’s house. When my dad came down crying, I got nervous. He told me what happened and I burst into tears. Since then, my life has been very different. I love Brian and that will never change. It is important to me because he is my brother and I care about him. 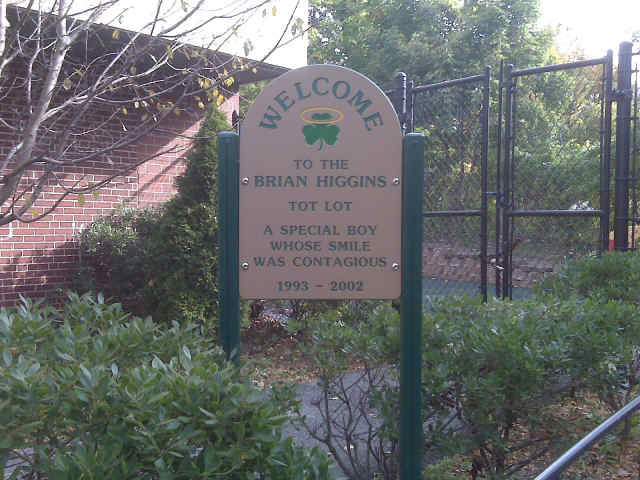 They formed the Brian Higgins’ Foundation. I learned from him never to give up. I Love my brother and will never forget him. The person I admire is my brother Brian. I admire my brother because he never gave up. Also, he always had a smile on his face all the time even when he didn’t fell good. My brother got sick at 3 weeks old and after he was ill he ended up having multiple special needs. Even though he had special needs he could still do alot of things. But also when he was ill he got brain damage. So he couldn’t walk. I loved my brother, and still do even though he ‘s not with us. below and we will get back to you as soon as possible! Thank you! !